The clour and style as the pictures,If need change the colour or make some change for dress style,Please send message to us. 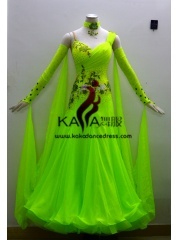 When you order the dress,Please let us know you measurement size,Such as bust,waist,hips and height. Below is our measurement size chart,fill in it will be helpful us to make the dress more fit with you! Fabrics: High quantity stretch lycra. Rinestones: Normally use Korean stones, for moe shine, you can add Swarovski stones. 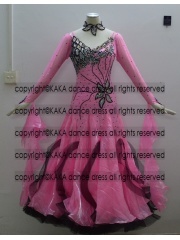 The top is made of mainly stretch lyrca, while the skirt part of the dress is made special Korean silk wear. Fully decorated with Korean stones. Zipper at the back. Production time is 7-15days after confirming customer’s payment. We do not allow refund , exchange, return , replacemnt.